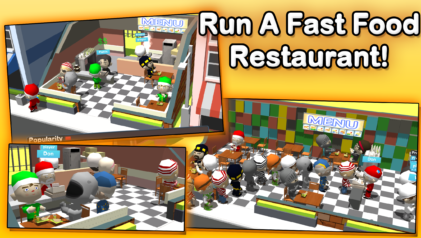 Run your very own fast food restaurant and go from diner to bustling restaurant! – Cook burgers, French fries, hot dogs, ribs, chicken, and more! – Run a business! 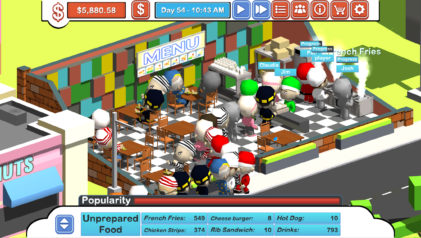 Food tycoon is more than just making food. 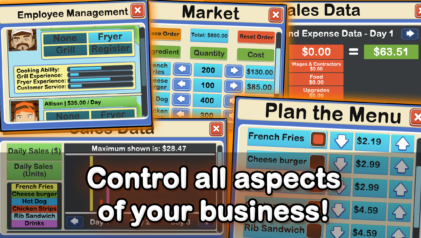 – Manage up to 12 employees! 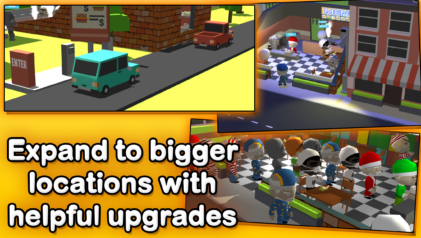 – Start in a small diner and grow into a bustling restaurant! 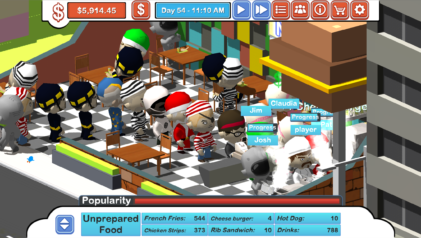 – Add a drive-thru to your restaurant and earn more money! – Day and night cycles!